Picture the scene; it's the mid-'80s, the American home video game market is in the pits, and Nintendo – an upstart Japanese company that only really has Donkey Kong to its name in terms of global commercial success – is trying to sell consoles to people who still remember the video game crash of 1983; a period typified by a flood of terrible games, some of which were so bad they were put in landfill. How do you convince an entire nation that thinks games consoles are a dead end to buy your new and expensive home entertainment system? As it happens, Nintendo's approach included many key points; the NES had a front-loading cartridge system which resembled a VCR (not a games console, honest!) and even shipped with R.O.B., a robotic buddy who made the package seem toy-like and approachable. However, arguably the most important part of the company's approach was the famous 'Original Nintendo Seal of Quality', a white-and-gold badge which was printed on cartridges and packaging to assure consumers that they were getting a top-notch product, and not the kind of shoddy game that sank the Atari 2600 – and the industry itself. Back in the '80s, Nintendo not only locked in publishers with exclusivity agreements, it also limited them to releasing a select quota of games each year in an effort to ensure that only the finest games came to the NES; with only a finite number of slots to fill each year, third parties would be more inclined to release quality games, rather than flood the market with lower-quality product in a bid to capitalise on the popularity of the console. This approach caused much annoyance with certain publishers – some of which, like Konami, even went as far as to establish separate sub-brands (Ultra and Palcom) so they could release more games in a calendar year – but you can see the sense in it, even today; by making publishers consider their releases more keenly, the quality bar should have been kept high. "If they could only make it for the NES and only make a limited number of games, then it might dawn on them that they had better make a good game," said NoA chairman Howard Lincoln at the time. "They couldn't afford to make many mistakes because they only had five slots a year." David Sheff's superlative book Game Over gives perhaps the most vivid account of how Nintendo operated at the time; the company had learned some hard lessons from the success of the Famicom, which launched in Japan in 1983. "In spite of NCL's controls," Sheff says, "the overall Nintendo business was hurt by a glut of games, many of them of inferior quality. [Minoru] Arakawa [founder and former-president of NoA] wanted a licencing agreement that would prevent this from happening in America." Nintendo president Hiroshi Yamauchi reinforced this stance. "It was our way of assuring consistent product quality and to keep the taste level high – no dirty games, no games with bugs or bad design." Games would be evaluated on a 40-point scale, but third-parties would also benefit from (according to Sheff) access to Nintendo's "marketing, development, and customer services; promotion in the Fun Club newsletter (and later, Nintendo Power), development advice from the game evaluators, and consumer service through the Nintendo game counsellors. Approved games would have the Nintendo quality seal and could therefore be sold as part of Nintendo displays in retail stores." Nintendo was, at the time, incredibly hands-on for a platform holder, and offered up Howard Phillips – known to fans as the company's most seasoned gamer – to offer advice and help. "The Games Master's insights were deemed invaluable by some companies," Sheff says. For example, when EA eventually signed up to create games for the NES, it was pleasantly surprised at how intelligent Nintendo's suggestions were when it came to getting titles ready for market. "EA sent Immortal to the Nintendo evaluators," says Sheff. They suggested adding a more substantial musical score, and giving the wizard character more than one life. Nintendo gave suggestions on the combat engine and also hinted that adding a scoring system would make the game more interesting; the latter point was the only one EA didn't act on, but it's clear that Nintendo took its job very seriously indeed and tried, where it could, to improve the quality and playability of third-party games. Of course, the reality wasn't quite as utopian as that and the NES still saw its fair share of poor games, but it could have been so much worse had Nintendo not introduced this system – all of which was backed up by the bold 'Seal of Quality' branding which would later be copied by its rival, Sega. Fast forward to the present, and while Nintendo still uses the Seal of Quality badge on its products, its impact is arguably lessened. 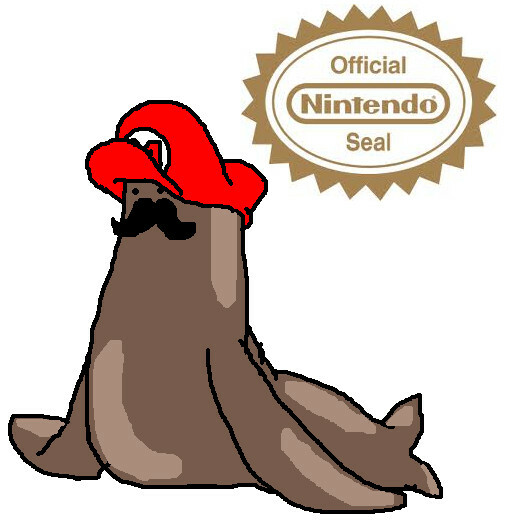 Today, the seal really just means that Nintendo has vetted the game to ensure it works on its consoles without issue. Basically, the seal is simply an assurance that the item you're looking at won't destroy your console, rather than an indication that the game itself is of high enough quality. Now, for anyone who didn't live through the NES, SNES and Game Boy eras, this might not come as much of a shock, as the seal hasn't had quite the same cachet in recent years. Nintendo has totally relaxed its agreements with publishers and there's no longer a limit on how many games can be released in a single year. It's also vital to remember that the market has changed completely since the days of the NES, when Nintendo had almost full control of the console arena and could, therefore, be more heavy-handed with publishers. 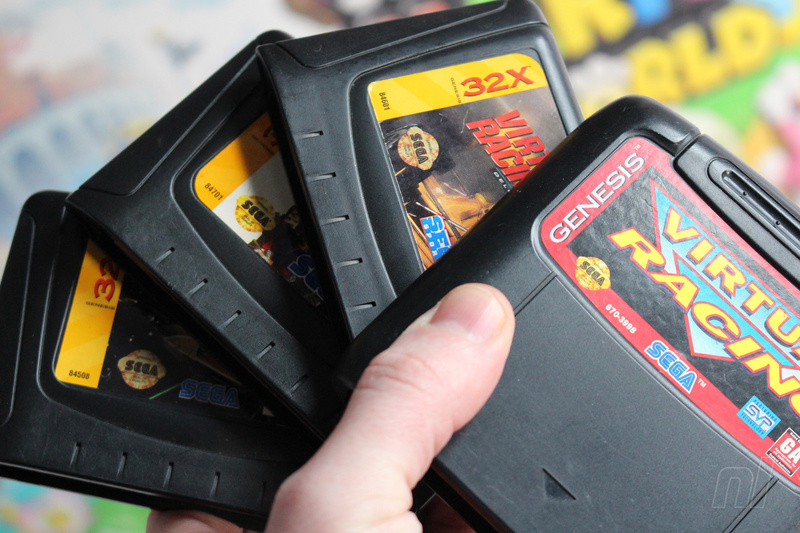 The arrival of the Sega Mega Drive / Genesis changed all of that, giving Nintendo some much-needed competition in the west and making the company realise that it couldn't be quite as draconian with third-parties if it wanted to win the console war. As soon as a viable rival turns up, you can't expect publishers to limit their earning potential to just a handful of releases every 12 months when they have other options – and from the arrival of the SNES onwards, Nintendo would never have the luxury of having the market all to itself again, at least in the domestic sector of the games industry. Predictably, when you're fighting for market share there's little reason to be picky about what games you allow to be released on your platform; all publishers have to pay a licence fee after all, so it's all money in the bank. As a result, we saw an influx of pretty terrible games during the N64, GameCube and Wii eras, with the latter period being packed with godawful cash-in titles thanks to the fact that the Wii was the biggest-selling home console of its generation, and introduced video games to a whole new audience which – it pains us to say – was perhaps a little less discerning when it came to quality. Today, digital publishing is a solid reality, removing a massive barrier to entry for many developers. We're now at the point where small studios can self-publish if they wish, and – thanks to the fact that the Switch is selling so well – we've seen a deluge of games hit the eShop. We're also seeing an upturn in the number of physical games coming to Switch, many of which bear that iconic white-and-gold Seal of Quality, which suggests to the uninformed that they have passed some form of rigorous testing. As seasoned gamers with a knowledge of Nintendo's history, we know that's not the case; the Nintendo of today is unlikely to turn any game away from its console unless it's totally and utterly broken, and even mature and gory titles are released on Switch – a far cry from the puritanical days of the NES where Nintendo forced publishers to censor their titles to remove any offensive imagery. The Nintendo of the '80s took its role as an entertainer of children very seriously indeed, but today, industry-agreed age ratings do this job just as well, allowing publishers to effectively self-regulate their products to ensure they end up in the right hands. The worrying thing is, we're seeing a rise in the amount of 'shovelware' titles coming to Switch, thanks in no small part to the fact that, to publishers, it represents an enticing commercial opportunity. With a good Christmas under its belt, the Switch has plenty of momentum and this consumer awareness generates a predictable appetite for new games. While we're getting a steady stream of quality titles on Switch for sure, we're also witnessing some rather troubling releases – the most egregious of which has to be the recent budget range from PlayIt in the UK; these are packaged games sold in stores, but when you open the case up, you'll find there's simply a download code inside and no game card. While this practice isn't new (heck, even Nintendo has resorted to it in the past), it's a rather questionable way of getting eShop shovelware in front of the unsuspecting public. Today, the Seal of Quality isn't on the front of the box, but the back - but does it still carry any weight with consumers? We imagine the situation is only going to get worse as the years roll by; Switch shows no signs of slowing and we know from the Wii, DS and 3DS libraries that after a while, the sheer volume of crap starts to drown out the quality games. Now, consumer choice is always a good thing when it comes to entertainment and quality is, to a certain degree, subjective; not everyone likes the same games and we've all got a title in our collection that we know is complete rubbish but we can't help but love it regardless. The volume of really bad games available shouldn't be an issue as long as good games continue to exist and there remains a means for consumers to sort the wheat from the chaff (review sites like the one you're reading now being perhaps the best way of doing that). But even so, a large volume of poor software can have an impact on how a console is perceived by the gaming public; this is why the Wii has such a bad reputation these days, despite the fact that it was a groundbreaking console which played host to some of Nintendo's most accomplished games. Super Mario Galaxy, Donkey Kong Country Returns and Metroid Prime 3 are all stunning, but the Wii's legacy – for many players – is the avalanche of terrible waggle-based shovelware that plagued much of its existence. With this in mind, should Nintendo make the Seal of Quality stand for something once more? Should the company start having a more active role in the games released for the Switch, as it did during the NES era, when its staff would personally vet each upcoming third-party game to iron out kinks and identify the games that would prove to be the most successful? In an ideal world, such an approach would reap massive rewards, as it would ensure that the Switch got only the finest games and that consumers would avoid being stung by terrible software – but is this really a workable approach in 2019, when platform holders want to be as welcoming as possible to ensure they get the software support they need to beat their rivals? There's an old saying we're fond of here at Nintendo Life: 'The further you open the window, the more crap flies in'. Nintendo needs to cast its net as widely as possible to present to consumers as many gaming options as it can, but that inevitably means lowering the quality barrier and results in just as many average games getting released as outstanding ones (if not more). The Seal of Quality stood for something once; sure, there were still 'bad' NES games, but Nintendo's stringent policy was arguably responsible for giving us hits like Contra, Castlevania, Final Fantasy, Dragon Warrior, Mega Man 2, River City Ransom, Tecmo Bowl and many, many more 8-bit classics. Today, it feels like a relic to the past; a symbolic reminder to Nintendo veterans that the company still remembers its formative years in the console space, but a badge which carries little weight in the grand scheme of things. Should this situation be different? Do you think Nintendo should put its money where its mouth is and make the Seal of Quality stand for something again? Let us know with a comment below. 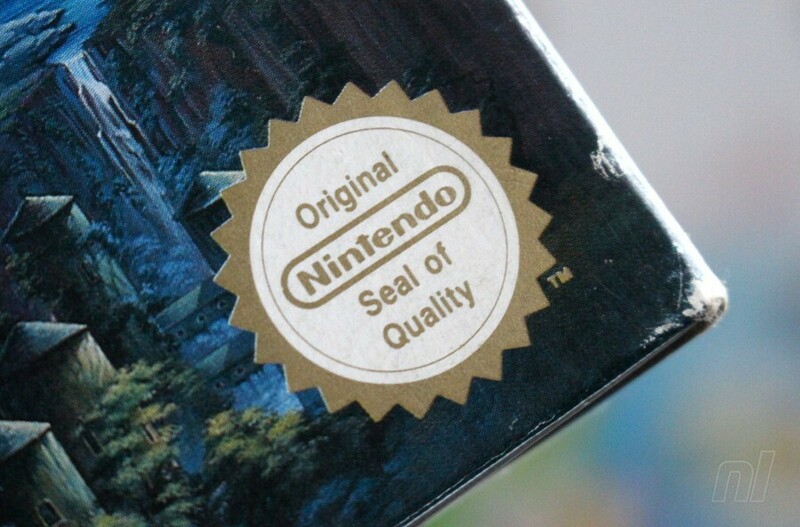 What does the Nintendo Seal of Quality mean to you? Do you think Nintendo should more actively enforce the Seal of Quality, like it did in the NES era? at Nintendo Life: 'The further you open the window, the more crap flies in'. You guys really need to rent a better office. Funny, because I played absolute dog turd games in both the Nes and Snes generations plus on the Gameboy. It has always been a marketing thing and always will be. Take the rose tinted specs off! The Seal of Quality's only purpose to me is nostalgia. It looks nice and I sometimes steal removable versions from T-Shirts and other merch to slap on my Switch dock and entertainment center. There's enough good, popular stuff that letting people publish darn near whatever is fine. DOA Extreme won't cause a mass boycott of Nintendo Products, nor will Vroom in the Night Sky cause 98% of the North American public to just stop buying video games. Its just a cute little badge nowadays. Nothing more. Nintendo Seal of Quality = It really means what you're buying won't brick your console. I think even the home alone game got a seal of quality lol. And we all know how bad that was!. How can you possibly question the Nintendo Seal of Quality, when it has single-handedly curated an incredible library of instant classics on Switch like Vroom in the Night Sky and WWE 2K18? Yeah, the Seal is basically useless aside from letting you know the game (probably) won't brick your console. However, I don't think it should really be anything other than that. As long as they don't blow up your Switch, I'd say let developers bring their games to Nintendo with their vision intact, and their quality will naturally rise to the top. It means the same thing now that it did then - the product with the seal has been officially licensed and won't wreck your system. That's it. It doesn't and never has meant anything about the quality of the product itself. What Nintendo did with licensing with the NES was necessary following the video game crash. They saw what happened to Atari and knew they'd suffer the same fate if they didn't somehow reign the publishers in from loading their new system up with shovelware garbage. By being limited to a set amount of titles a year, those titles had to be good to bring in profit, as opposed to just flooding a system with garbage and banking on the sheer number of crap they could get out there. Draconian by todays standards, but back then that heavy hand saved the industry. I think we can all agree the question posed at the end of Nintendo being more stringent is tactical suicide. Lets be honest. Nintendo would be down right insane to tell third parties no or start bossing them around. At first I thought the seal could be limited to the titles Nintendo feel truly deserve it; problem is you can guarantee plenty of attempts to influence, backhanders, brown paper bags, etc. It really wouldn’t work. Best thing Nintendo can do is try to advertise those 3rd party games and indie titles it feels are deserving. The "seal of quality" never meant anything about actual quality. There was just as much garbage on the NES as there is now. The only thing it has ever meant was that the product was officially licensed. It was one of Nintendo's many attempts to curb unlicensed products, as they saw them as one of the main reasons for Atari's failure. NintendoLife don't understand what the seal of quality actually stood for. I think it's time I educated them. The seal of quality made sure that every game or officially released product did play well with your console. As in games don't brick your console and official accessories just work (for the most part). This is not about how good the games were. It's about how well the hardware was made and if the software worked as intended and didn't negatively affect your console. Every Nintendo console has it's share of bad games. As long as those games didn't insta crash your console every time, brick your console or fail to work, it passed the Quality Assurance and ratned the seal of quality. The seal of quality lets everyone know, this game or this whatever will work with your console. Even terrible games still work on the Nintendo console. No one should buy bad games because they are bad, but they still technically work on your console. Nintendo has always enforced the seal of quality. Still does today. When is the last time an officially lisenced product bricked any Nintendo console with normal use? When is the last time a lisenced product continually crashed your Nintendo console? Wery rarely I bet. That's proof the seal of quality is being enforced. PS. I doubt NL will fix up the article to correct all the mistakes in it. It also meant that too. A way to legally get back at fake products and 3rd party knockoffs trying to predend to be officially lisenced. Basically Nintendo wanted to save $$ by not repairing consoles in which you used unlisenced games or attachments like controllers with. Also not get sued when people whinged that a certain unlisenced thing didn't work with their Nintendo console. Never really meant much since they put it on Superman 64 among other bad games. It's a shame really that NL does not understand what the Seal of Quality was for. They wrote this whole article without understand what they were writing about. Do you even know why the seal of quality exists? For the first 9 to 12 months of the Switch's life the overall quality of Eshop releases was a lot higher than it is now. Nintendo had said at the time they were curating what was allowed on and it meant most weeks had a lot of quality titles releasing. There used to be the odd stinker like Vroom in the Night Sky but for the most part there was a pretty high overall standard. The worst games were generally of a 5/10 quality but for the past year or so it seems they're letting anything on there. I used to enjoy checking the Coming Soon section daily as even that seemed to be curated. Now every single release for the each week is on there in advance and a lot of it is Wii U level shovelware like Jumping Joe, Bouncy Bob, Bleep Bloop and Perry Pig Jump. To make it worse this junk almost instantly goes on sale for under a dollar so they pollute the charts as well. It meant more in the 80's and early 90's. These days, unless it is actually made by Nintendo, all bets are off. Lately I have assumed all eShop games are garbage and then I allow the few that are worth my time to become known. These days feels more like Atari then of Nintendo of old. It just means Nintendo got their cut. 'The further you open the window, the more crap flies in'. This is why we have screens over our windows. On the other hand, it would be better for the consumers if games were once again vetted. Sure, most folks now have smart phones and can look up reviews with a few taps, but with so many releases flooding the e-shop, a lot of smaller games never get reviewed. Not to mention that even in well-organised digital shops, the sheer volume of titles makes it very hard to find the game you’re looking for if you don’t know its name and it’s not one that’s regularly highlighted by the shop. As a consumer, I’d rather Nintendo became strict again and limit their releases so the eshop isn’t drowning in shovelware. Whiny, egotistical devs who think their bad game is misunderstood art may get offended, but for the customer, I think it would ultimately be a much better experience. "What does the Nintendo seal of quality mean in 2019?" @Hikingguy Not really. As a general retro game collector, I can assure you that seal was put on many a crappy NES, SNES, or N64 game. The only thing that has changed is that there's more games out there. Which also means more shovelware and garbage. There are also more gems, but they're harder to find in the pile, and Nintendo's current Eshop layout doesn't help much. @the8thark is right. This article got the very meaning of the Seal of Quality totally wrong. Did nobody do their research here? It means nothing as a concept anymore. Nintendo allows shovelware and barely functional crap onto the eshop with no oversight or controls. It's a relic from the past. The seal means only that the game passed an operational test. The seal represents nothing in regards to the quality of the game. With whom, exactly? I remember mainly its excellent library of games (there were a few casual-oriented ones, but also lots of core E ticket titles - far more than the Switch has), free online, Netflix, and retro offerings (again, much better than what the Switch currently offers). The useless accessories (some of which are making a comeback) and shovelware are really an afterthought. There have always been games that were just plain bad on any given platform throughout the industry's history, including the days of the NES, SNES, and so on. However, the Nintendo Seal of Quality really did seem to mean (a LOT) more back in the day in terms of the overall ratio of quality titles you'd actually want to play versus obvious junk. The Wii was where I think the Seal of Quality began to lose its relevance. Outside of Nintendo's own first party games it seemed no one really had the skill nor the desire to make truly quality software for it. The Wii certainly helped to coin the term "shovelware" as its system power and UI that was a huge barrier to ports made AAA third party publishers turn their backs on it. Instead a ton of small developers bloated the system's library with one-trick gimmick titles that practically launched straight to the bargain bins. The reason we're having this discussion regarding the Switch is simple: Nintendo opened the floodgates to any "Nindie" developer who wanted to post a game to the eShop. It was a blatant reversal of their previous "tight ship" QC policies, openly emphasizing...even touting...quantity over quality. While there have indeed been some stellar efforts in the mix, the vast majority of games you scroll through as you pore over the current and upcoming titles in the eShop any given week are, to put it frankly, garbage. Even the artwork is awful, lazy, and an instant turn-off for many. One could argue that we've gotten more good-to-great games out of Nintendo's "Nindies" emphasis on the eShop, including console exclusives. But that has come at a steep cost in terms of a bloated library of mostly throwaway titles with subpar navigation that makes wading through all of them to find the games which are actually worth playing a chore. Nintendo would do well to reinstate serious QC for any and all potential future eShop games, even if it means shutting the door on most of the "Nindies" currently clogging the Switch with shovelware. Quality beats quantity any day of the week. As it stands right now though, the Nintendo Seal of Quality has come to mean absolutely nothing, even if it was ever only a marketing tool. That's up to Nintendo to fix. The seal never meant anything. There's been plenty of crap on every console. There was a ton of shovel ware on NES, Game Boy, SNES, N64 and GameCube as well. @RainbowGazelle the seal had nothing to do with how enjoyable a game is. It’s only relevant to the cartridge using official materials. Nothing else. Nintendo left the reviewing of the games to magazines and websites. @OorWullie im with you on that. I was going through the eshop the other day watch listing anything I was interested in and so have literally browsed the entire eshop recently so let me tell you I was a little disappointed with what I found. I would prefer some of these games weren't there but who am I to judge. The real solution would be for Nintendo to manage visibility and exposure a lot better. Yes, but it needs to be earned through Nintendo quality assurance (like with third party or indie games), and they should be able not to award it to games. Shovelware doesn't need it. I used to think if games were on Nintendo they're going to be good because of the seal. They need to adopt that, but in the current market. The highest quality games out there that meet a certain criteria. I read the whole article. I was actually alive in the NES days (1980's) so I know exactly Nintendo had to focus on back then. THose who took an interest in that kind of thing back in the day knew it all. It was not exactly a hidden secret. It was all played out in the public sphere. Maybe you should actually read Game Over. Or actually visit the Before Mario website to learn about what Nintendo was doing just before the NES came into being so you know why the seal of quality even exists. PS. Random trivia. The first NES game I ever played was Zelda 2. Sure sure I was not around for the 1983 crash and 85 NES launch but I did get Zelda 2 when it launched. @Regpuppy As someone who lived the Atari and then the Nintendo era, that is pretty much what I said. I would take Nintendo's approach over what ended up happening to Atari. The Atari was absolutely flooded with games that are total and absolute garbage. Yet I do not ever remember one Atari game that crashed my console. But Nintendo limited the number of games a company could publish on the console. It did not stop unexciting or not fun games, but at least there was some measures in place so the Atari disaster did not happen to Nintendo. But what was needed in 1985 is not necessarily needed in 2019. But considering that the NES had about 700 games released for it over about 10 years and in less than 2 years the Switch has about 1300+ games, nearly double that of the NES. And I am sure the vast majority of games are not worth my time. But I remember many not fun games from the NES too. But at least it was not completely flooded. And I am pretty sure the article talked about this. But about the N64 era is when things really changed and I stopped playing video games for a while. And as stated clearly in the piece, the Seal of Quality didn't stop terrible games getting onto the NES and was largely marketing fluff, but Nintendo DID take more of an interest in third party games and would work with publishers to remove any questionable content, polish up the game and pick out key titles it thought would perform well. All of which tied in with the whole 'Seal of Quality' badge. @the8thark I was around for the Atari era and Nintendo did what they had to do to make sure what happened to Atari did not happen to them. It did not guarantee great games, but instead limited the potential flood of bad games. I never played an Atari game that bricked my console either. I miss the early eShop days on switch with the heavily curated list of releases each treated like a major retail release. That was the first and last time I've ever payed any attention at all to indies, which are summarily bad to bland most of the time. Like an EA game, but without the visual wow. Pretty interesting discussion. I remember back in NES days I always used to check for that seal on game boxes at my local rental store, and eventually ask for the game manual. Today, I'm not sure. The eShop is filled with crap (sorry for the word) and they simply don't care because money keeps flowing. "I never gave it much thought back in the day and still don't. I base all of my gaming decisions on part my personal taste and the experiences of other gamers. Not some silly seal"
I guess hundreds of QA testers making sure officially lisenced games actually work properly on your console don't mean much to you. That's fine, everyone has their own opinions on things. The NES had it's share of terrible games. A decend sized share too. However what you said is correct. Nintendo itself really is the star here. Their 1st party games were solid, most of the time. So if some of the 3rd party stuff was bad, people could always rely on the Nintendo games. Thankfully there was a lot of good 3rd party games too. The other issue was in the early 80's there was so many different consoles out there too trying to one up each other. Apart from the lack of anyone actually trying to make good games which you mentioned. Yeah Nintendo did play a great rolein all of that. The article clearly is about the seal being related how good the games are to play which is not true. 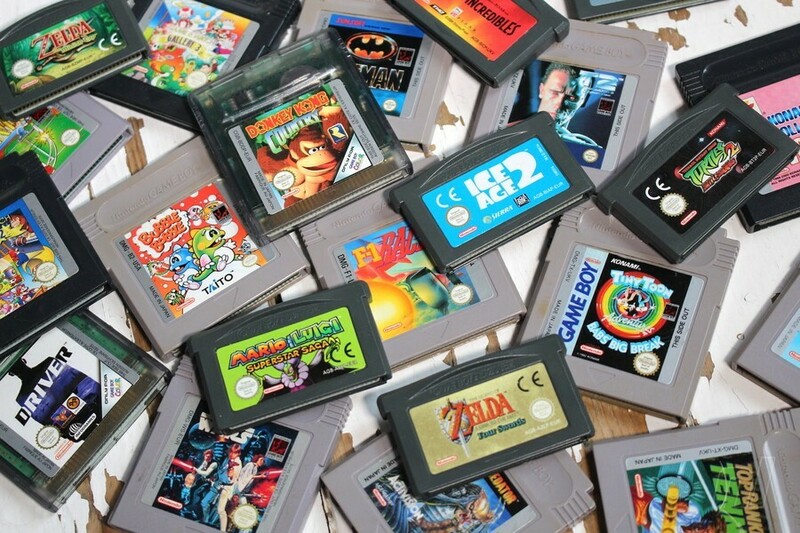 "The Seal of Quality stood for something once; sure, there were still 'bad' NES games, but Nintendo's stringent policy was arguably responsible for giving us hits like Contra, Castlevania, Final Fantasy, Dragon Warrior, Mega Man 2, River City Ransom, Tecmo Bowl and many, many more 8-bit classics. Today, it feels like a relic to the past; a symbolic reminder to Nintendo veterans that the company still remembers its formative years in the console space, but a badge which carries little weight in the grand scheme of things." The seal of quality always stood for something. The exact same thing it stood for in 1985 as it does in 2019. The classic NES games you mentioned have nothing to do with the seal of quality. Yes all those games are great games. No one doubts that. That's correct but quite off topic. Nintendo's stringent policy in relation to having 3rd parties make less games back in the day was a great move but also nothing to do with thge seal of quality. 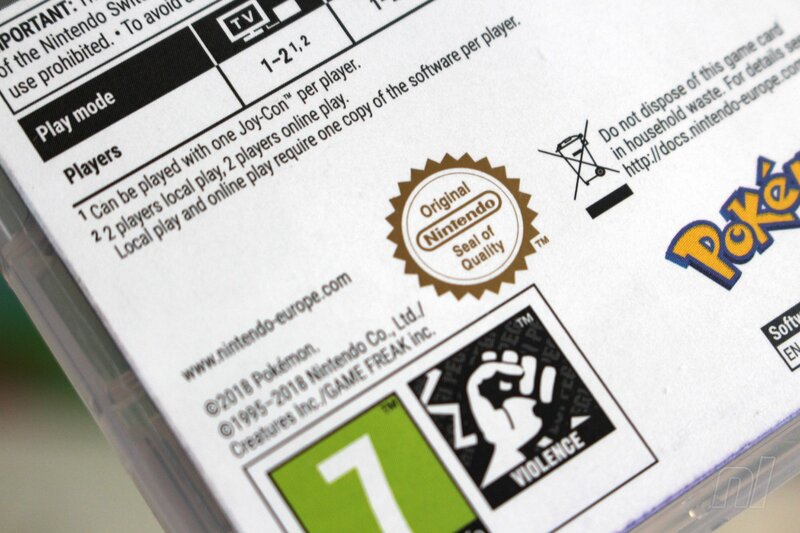 The seal of quality shows that you are buying something that is guaranted to work with your Nintendo console. That's all. Even if you disagree, the seal of quality is as relevant to day as it was in 1985. It didn't once stand for something. It always stood for something and it will continue to stand for something long into the future. The Official Nintendo Seal of Quality needs to make a big return. I would hate for the Switch's legacy to be tarnished by poor shovelware. The Switch is a premium device that needs premium titles not ports of mobile games or trash that was thrown together in a couple of weeks to make a big buck. The games that come on Switch need to be at a quality comparable to what the best games made this generation. New game developers who are looking to put games on Switch should look to games like Celeste; an indie game that made its way to become a nominee for Game of the Year. The Switch needs more games like that. Amazing games that should be passed with the Official Seal of Quality. Nintendo should also be more strict with what games they give the Seal, and they shouldn't just check to see if the game works, but it should see if the game is worthy enough to be on their fantastic console. I'm pretty sure the ones here in the US are just "Official Nintendo Seal". Ill have to check the back of a game box. @Medic_alert - absolutely correct. Remember the gaming press back in the day joking about the seal. It didn't mean anything - remember a game named Road Fighter on the NES, which was rated 8% in Mean Machines (IIRC the lowest awarded in the history of the publication) yet still had the 'Seal of Quality' on the box. IF they put the seal on the loads of shovelware indies they put out on the weekly then it means nothing . But I don’t no if they do or not. I can't believe I clicked on this article. The seal meant that the game would work. That's all it meant. Lots of garbage games wore that seal like a badge of honor and it meant absolutely nothing other than if you placed it in your NES and turned on the power, the game would work. Seal of quality never worked as it should, but I think there should be a level of control. That being said, No Thing on Switch is shovelware, but a fun game that I didn't know existed until seeing it on the eshop. I have it on my phone now too. At the end of the day, if people keep buying crap games, they will continue to exist. To me, the Seal of Quality basically meant the game wasn't released by Tengen, with a few minor exceptions. I have an early version of RBI Baseball that does have the Nintendo Seal of Quality and looks like a regular NES cartridge. Then there are the more familiar copies of RBI Baseball that look like the classic Tengen cartridge and do not have the Nintendo Seal of Quality. Exact same game, and both are perfectly safe to play in your NES. The only difference is whether or not the cartridges were made before or after the Tetris rights issue. @the8thark Back in the 80's no one would have said/thought that the seal of quality meant it guaranteed a "good" game. Nintendo was just trying to distinguish itself from what happened to Atari. And whatever the original intention was, it worked. Comparing what was expected of games from the 80's to today is not a fair comparison because what was expected from games was very different back then. The shear number of games available today is astounding. If a game does not grab my attention quickly I have literally thousands of others to choose from. But in the 80's, I would play a handful of game for months. I had always thought the seal meant that the game wasn't a counterfeit. This read was interesting since I missed out on the Atari crash and most of the NES period in general (as I wasn't born yet). I would love for the seal to signify a true quality game again; as outlined in the article, there are both positives and negatives to that approach. I have no issue with Indies trying to get onto the platform, but I wish that the true soulless cash grabs could be screened better. For me the seal of quality has literally been the seal - the Nintendo red strip Nintendo that new games come with. With so many eshops now passing off returns as new, it's still nice to get a game with the shrinkwrapped Nintendo seal. As for game quality, naaahh - never has done. I've always viewed it as meaning "this is an official Nintendo product". Nothing more. It's there, just like all the other things on the back like languages, licenses, and that box that tells me I need to be able to read. If the Wii was packed with godawful cash-in titles, then the Switch beats it hands down. Downloads don't get a seal of guality stamp and any counterfeit box would have one to make it look authentic. Maybe they should change it to a 'value for money' seal, but I guess a lot of games would have a blank space on the back of the box. It would certainly cull the amount of shovelware indies off the eshop instead of flooding it with mediocrity and clones every single gosh dang week! Why do you think we want classic games that actually had a good reason for the seal? @UmbreonsPapa I totally agree. the seal of approval had little to no effect if I bought a game or not. Since nearly every game had it, it was just part of the box. But even when some games did not have it, I still did not care. Seal doesn’t mean much. But I used to buy games just based on if Nintendo made it. Today, unless it’s a main Mario, Zelda etc entry I will buy based on reading reviews and opinions. Games like Mario tennis are 7s to me, and there are just too many better games to spend my time with. metroid got scrapped because it wasnt good enough. A direct now that means something ! Guys, today we have internet (and youtube). Wii shovelware was not a problem, didn't affect Wii Sales. For years we were depending on magazine reviews to get tips,cheats and reviews. Yes, it was a little bit insane: "Wow I'll buy that magazine because it says it has a lot of passwords for mega man x! ", "It explains how to play against Gouki in the new street fighter!!! (Akuma)". Let's remember, we had Street Fighter 2. Then they released basically the same game with more speed options, few new moves, ability to play with bosses...and people got crazy about that, instant hit, huge sales... Different times. So ok, in the 90's it would be good to have a nintendo/sega seal of quality, but today most of these shovelware are digital games (usually only the good ones that receive a physical release) so before buying you can check on youtube and decide by yourself if you'll get it or not. What game is that at the top of the page? We only see corner of it and its driving me crazy. I didn't even know they still did it. They could start by taking the seal off of the packaging for the pro controller. The seal of quality was never about the quality of games themselves. There were tons of bad games on the nes, snes, n64 and gamecube just like every other system. Is it still the Seal OF QUALITY in Europe? Nintendo of America dropped Quality, making it just the Seal in North America since 2003. It happened somewhere between Final Fantasy Tactics Advance and Fire Emblem for GBA. The FFTA manual still had the flowery "quality" text while the FE manual gave the business explanation of the seal: that only products with the seal are warranted and it even went so far as to state entertainment value is NOT guaranteed. I would have liked to seen this conversation expand more into the accessories put out by Nintendo, too. The current Joycons are not up to Nintendo's previous standard of controller quality. There are way too many reports of syncing issues, drifting, and paint wearing/rubbing off. The pro controller has excellent quality and I don't mind paying the price for that. Joycons feel a bit poorer in quality and are pricey. Funnily enough, it's something I noticed when buying the PowerA controller the other day. That and the very official looking packaging. If I didn't know any better, I'd think that product was made by Nintendo. I do know better. The PowerA is a great controller. Definitely worth the £15 I paid. But the seal and packaging might phycologically make some people more inclined to buy it than they otherwise might have. That's okay for this controller. In my opinion, it would be worthy of the seal. Are other products which carry it, though? A photo caption also mentions the fact that the seal is now on the back. A change which is probably why I noticed it so prominent on the controller box. I feel this was a good move. I do think, for those of us in the know, the seal doesn't carry as much weight...but it's still nice for it to be there. Assuming it's genuine, it's a product Nintendo has allowed be on their system. It's then down to players to decide and research what is "good" for them. I think on the whole, gamers are better than they perhaps once were to discern that. If one needs to, one has the ability to read a review of a certain game from a publication such as yourself when shopping. That just wasn't possible when they needed to rely much heavier on the discernment from employees of Nintendo to put their seal on it. Has the seal changed? Yes. Do I look for it when buying a product? No. But it does feel reassuring to know it's there! I simply think it would take too many resources and make it too tedious for developers to enforce the seal like they used to. I think it is more important that they simply ensure the games wont damage the system or violate any local laws. What a pointless article. Crappy games that nobody has ever heard of are not going to outshine the games that everybody wants. I never knew NL was in the historical revisionism business. Where did you get your “information” about the Seal of Quality, official Nintendo marketing copy? @Bass_X0 Yeah, I know. It's the article that seems to think otherwise. To me, the Nintendo seal of quality always meant that a game was authentic, or the accessory is approved by Nintendo that it can be used safely on a system. I use to have a Nintendo 64 controller pak that always corrupted, and it was unlicensed. Licensed one, never had a problem. I never once thought the seal meant that the game is good. I always considered whether a game is good or not is up to the player playing, which changes from person to person. Same as comparing early early times Hollywood studios quality control VS today's youtube-fueled content that is spread all over. Game creation has gone out of "control". Yes, Nintendo could provide a "premium, Nintendo endorsed, closely worked with us during all the dev cycle" seal to some special games, but that's as far as control could go nowadays. The seal was mostly a means to make profit from co.s wanting their products on, or compatible with Nintendo hardware. The e-Shop is a joke! Every other game is anime girls, awkward horror, or poorly, and unlovingly made pixel art garbage. Might as well call the e-Shop WiiWare. Honestly, there are very few indies I truly like. The Shantae, and Mighty Switch series by WayForward are really it. Gaijin games, Horberg, Cinemax, & a few random others. Aside from, I feel most indies are a complete joke! I'm one of those, who mostly have my library filled with quality games from studios that usually have their software on store shelves. When I go into the e-Shop, I have to go in already knowing what I want. I don't like wasting time browsing. Plus, it just seems futile. Nintendo will put a game on their service, if the co. in question pays the fees, and/or sign the contracts. What pains me most is to see shovelware crowd the bestseller list by chopping their price to 0.99 or 0.49 while more noteworthy games did not. Nintendo should have game awards, it should have a Game Hall of Fame, it should have tiers of quality. Nintendo should have a game version of the Oscars. Well, looking at the TMNT game for NES in the photo above, I doubt that would be considered a good game. If the Angry Video Game Nerd reviewed it, it must be awful. Of course, he has reviewed some good games (like Zelda II and Earthbound), but that didn't mean that there were bad parts to those games. And of course, we can never forget the s****y game-making/publishing machine that was LJN. Almost every game of theirs on the NES was poorly received. The seal had two purposes: to keep completely broken games off the NES, and to ensure publishers played by Nintendo's rules. The "seal of quality" never meant the game inside was good. Always have "Seal of Quality" means 100% Genuine copy of Game. But no Piracy and Pirated other games. Is not fake and Counterfeit. @MBII not at all, but Nintendo is carrying it uncensored on their console that also has Mario collective gasp of overrective parents. At least they'll be able to get the censored version on playstation because they have standards that'll protect your family. Feel free to play all the mature games you want there, as long as its just language and nightmarish amounts of gore. All joking aside I'm glad Ninty doesn't have a moral code that all licensed games must pass nowadays. Unlike Sony. Weird times. Nintendo needs Original Games. Can support DRM for Switch. Nintendo didn't enforce it's quality at all during the nES era as your question claims. it was merely a form of keeping everyone inline. We all know there are tonbs of terrible games on the nES that proudly wear the seal. I like seeing it today as it remibnds me of those days and that's about it. Even back then i don't think on any occassion did i or probabaly any other kids buy games because it was on the box. They don't need a seal of approval, they just need to look at a game to see if its crap or not, then say no. Just get rid of the shovelware which seems to be turning up. @Itsacardgame woah, nice job and thanks! I searched for Castlevania NES box art (and a few others)... feels good to know. @Itsacardgame is now my Professor Layton or Phoenix Wright of the month. I don't think Nintendo needs to be as involved as it used to be, (not that limiting the number of games per year ever stopped crap games from releasing on the NES) but they could at least make an effort to vet eShop releases to stem the tide of garbage shovelware. It's getting harder and harder to parse out the quality titles with several dozen games releasing every week, most of them junk. Seeing as you guys seem to think this article is incorrect - and because I love you all so much - I've added some additional paragraphs which explain the situation more clearly, with info taken from Game Over itself. "David Sheff's superlative book Game Over gives perhaps the most vivid account of how Nintendo operated at the time; the company had learned some hard lessons from the success of the Famicom, which launched in Japan in 1983. "In spite of NCL's controls," Sheff says, "the overall Nintendo business was hurt by a glut of games, many of them of inferior quality. [Minoru] Arakawa [founder and former-president of NoA] wanted a licencing agreement that would prevent this from happening in America." Nintendo president Hiroshi Yamauchi reinforced this stance. "It was our way of assuring consistent product quality and to keep the taste level high – no dirty games, no games with bugs or bad design." Games would be evaluated on a 40-point scale, but third-parties would also benefit from (according to Sheff) access to Nintendo's "marketing, development, and customer services; promotion in the Fun Club newsletter (and later, Nintendo Power), development advice from the game evaluators, and consumer service through the Nintendo game counsellors. Approved games would have the Nintendo quality seal and could therefore be sold as part of Nintendo displays in retail stores." Nintendo was, at the time, incredibly hands-on for a platform holder, and offered up Howard Phillips – known to fans as the company's most seasoned gamer – to offer advice and help. "The Games Master's insights were deemed invaluable by some companies," Sheff says. For example, when EA eventually signed up to create games for the NES, it was pleasantly surprised at how intelligent Nintendo's suggestions were when it came to getting titles ready for market. "EA sent Immortal to the Nintendo evaluators," says Sheff. They suggested adding a more substantial musical score, and giving the wizard character more than one life. Nintendo gave suggestions on the combat engine and also hinted that adding a scoring system would make the game more interesting; the latter point was the only one EA didn't act on, but it's clear that Nintendo took its job very seriously indeed and tried, where it could, to improve the quality and playability of third-party games." Am I good to you, or what? As stated in the piece, of course the Seal of Quality didn't prevent bad games from getting on to the NES, that's obvious. But to say that it 'meant nothing' is totally false. Nintendo did take the quality of software seriously and offered advice and assistance where it could. @Itsacardgame Sorry, I should have said! Haha! The same thing it meant in 1985 probably, nothing. I've been playing Nintendo ever since Sega dropped out of the hardware market. I only played Sega. I despised Nintendo for the monopoly in the 80's. I also knew I had a better built (quality wise) Master System, with what I felt was games with better sounds and graphics. But after Sega died, yes, they almost nothing compared to what they were....I actually went to play Nintendo only. I'm not going to support Microsoft and certainly not Sony. the only other option was Nintendo and they are a true video game manufacturer so I support them. What doe my statement have to do with the seal? Nothing. But if it somewhat truthful, then it's more than a selling tool. There are many places on the internet you can visit to see if you should buy a game or not,even with all this it's still up to you at the end of the day to decide if you like a game or not. @Damo Yet plenty of absolute rubbish still got through. So no, other than guaranteeing the game works on the console, I don't believe the seal actually meant anything. It only means that the game will work. "As a result, we saw an influx of pretty terrible games during the N64, GameCube and Wii eras, with the latter period being packed with godawful cash-in titles"
"the sheer volume of crap starts to drown out the quality games"
@RainbowGazelle I never said rubbish didn't get through, did I? My point is that Nintendo was far more active and hands-on when it came to monitoring the quality of software back then. The examples given by David Sheff prove that; what proof can you offer – outside of your opinion – that it wasn't the case? It means: Yup. Its official. The Nintendo Seal Of Quality is a thing I always look for. It's a warranty of quality and originality of the media or things, and it always make me smile becouse it makes me think about the mentality of the Japanese people. It's a thing I really like. @Damo Well, unfortunately I don't have any firsthand insight into the inner workings of Nintendo at the time. The seal of quality, at the very least, seems to have been applied in a random manner. There appears to be plenty of quality assistance with games, such as those EA ones you mentioned, but then there's plenty of utter trash, on the NES for example, that seem to have had no input or curation from Nintendo at all, such as titles from LJN, or many others that AVGN has covered. However, these all received the seal as well, which is why, to me, it doesn't seem like the seal meant anything in the first place.
" this is why the Wii has such a bad reputation these days, despite the fact that it was a groundbreaking console which played host to some of Nintendo's most accomplished games.but the Wii's legacy – for many players – is the avalanche of terrible waggle-based shovelware that plagued much of its existence." This i why a site like nintendo life should play it''s role as gate keeper, and play those waggelgames, so that we don't have to... damning reviews are always the most fun to read, 'ask amiga power'! There are some videos and articles on the net which go deeper into this subject but I seriously do not have time to grab these. The article, as much as I hate to admit it, is essentially correct. The Nintendo Seal did, initially, mean that Nintendo made a conscious effort to verify the quality and playability of submitted games. This program was a response to many things, like what happened to Atari, the many companies selling unlicensed games(of which I have a few) and actual crap that locked up when played. Certainly there was a financial motive for Nintendo because this is their product and bad press over poor quality control could ruin the company. The Nintendo era was very important as well for the industry as it was in crisis and public relations were critical to turning around the market perception . Nintendo was very hands on in the beginning of the NES era with dozens of people working on seal certification. Many of these individuals were also counselors that you talked to for help on game hints or walk-throughs but what happened, and still seems to happens, is they were overwhelmed by submissions. Nintendo historically always maintains tight budgets and reacts instead of being proactive which is typical for a corporation that was also happened to be Japanese. As the popularity of the NES soared they put more effort towards the important partner submissions and they created a checklist of third party independent submissions to enable the seal to be used. They did their best and playable junk showed up but it met the criteria. I am not aware of any cartridges damaging an NES or later consoles but there were numerous issues of locked up non Nintendo games due to bad code or poor manufacturing processes. The Seal does stand for something but it does not unfortunately translate to an across the board promise of perfect games. I think they should still use the process and enforce it even more but that slows down game development and in this hyper focused economy a slip up like a lack of games can kill a console. Also we need to face the fact that Nintendo is not the only game in town and the market is quite different from the 1980s. Thank goodness we have reviews to weather or not the game is good or bad. @Damo I appreciate the update and the willingness to respond to constructive criticism. Thank you! The truth about the seal of quality is that Nintendo did not want to over saturate the market with games pure and simple and it was a gating process. Seal of Quality Games - Games that are fully backed and tested by Nintendo for quality and workmanship, to make sure they have the best compatibility and performance with Nintendo products and systems. This should be optional for publishers who want to make their games stand out from the competition. Non-Seal of Quality Games - Games that are released and published by 3rd parties who choose not to have their games run through Nintendo's rigorous Seal of Quality tests. These games will hopefully be of high quality, but customers will be able to tell immediately that this is not always the case. 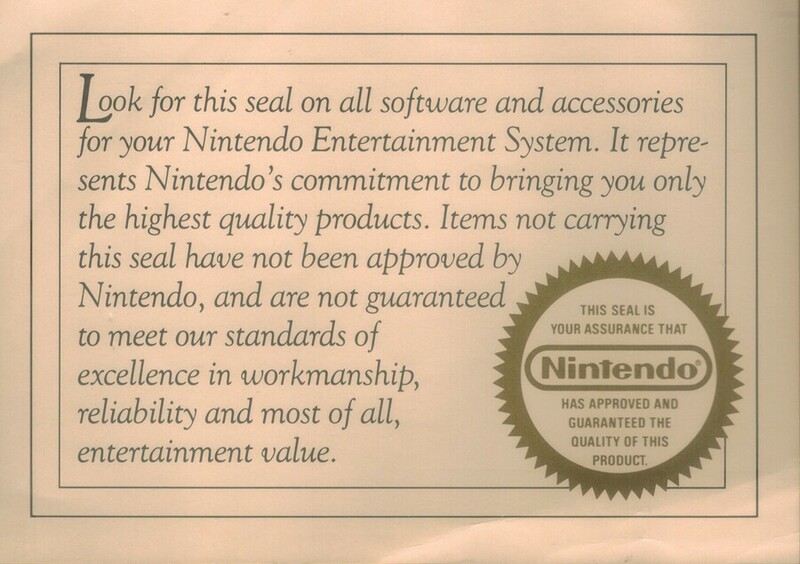 Nintendo's "Seal of Quality" was always a marketing gimmick. @Damo I second @AlternateButtons opinion and will praise you for updating an article, when an update is in order. If only this was done more often on this site. Good job and thanks for an interesting read! Nintendo of America in the 80s and early 90s were the masters of the dark arts of marketing. The Seal of Quality was one of their best tricks, but Nintendo Power was top of the pile. Create an advert for their games... and get people to pay them for it. It never meant anything. Just marketing speech. Nintendo can do now what they arguably should have done since the beginning. Allow publishers to submit their games to Nintendo for rigorous testing in hopes of obtaining the Nintendo Seal of Approval signifying Nintendo's opinion that the game meets their high standard of quality. However, Nintendo should still allow games that fail to meet that standard, or don't apply for it, onto their platforms as well. Informed consumers can determine for themselves whether the game is still worth purchasing. Then again, in the modern age, Nintendo could provide more insight to consumers by simply providing Metacritic scores on the eShop. @NEStalgia thanks for the laughs. Jokes aside, I trust the seal even more nowadays in the world of buggy games, micro-transactions and unfinished products to sell the rest as DLC.